A skybox light is an ambient light emitted by a skybox. Xenko analyzes the skybox texture and generates lighting using image-based lighting (Wikipedia). Skybox lights are good for exterior scenes, where the skybox is visible. They're less useful for interior scenes, such as in rooms where the skybox is only visible through windows; as the skybox light nonetheless lights the entire room, this creates an unnatural effect. Notice how the skybox texture colors are reflected. 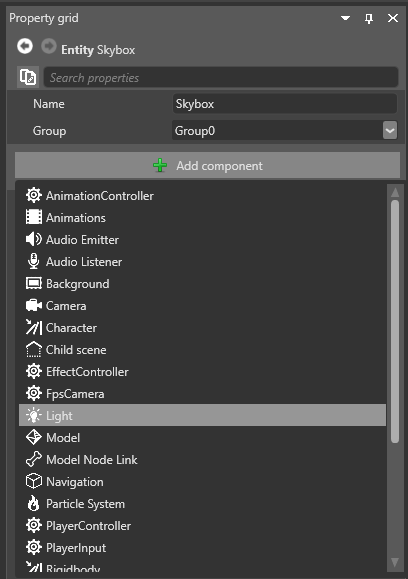 To use a skybox as a light, you need to add a skybox asset, then select it in a Light component. 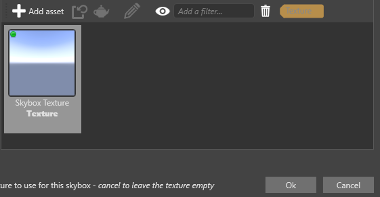 Choose a skybox texture from the project assets and click OK.
Game Studio adds the skybox asset with the texture you specified. Select the entity you want to be the skybox light. In the Property Grid (on the right by default), click Add component and select Light. 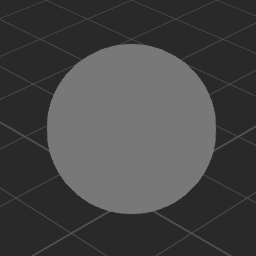 In the Light component properties, under Light, select Skybox. 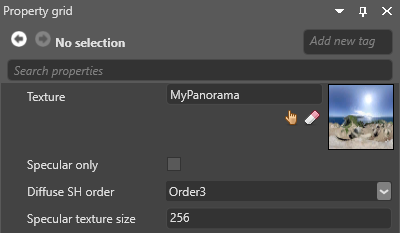 Select the skybox asset you want to use as a light source and click OK. 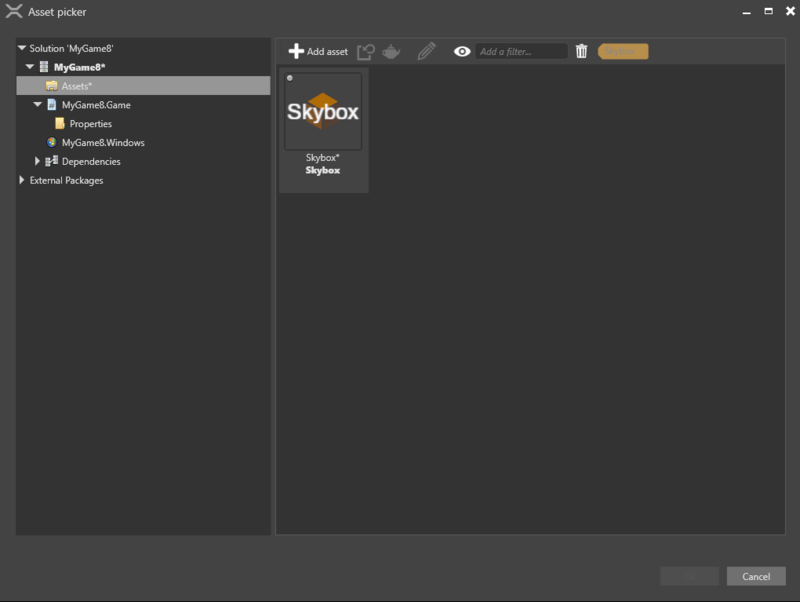 The Light component uses the skybox asset to light the scene. 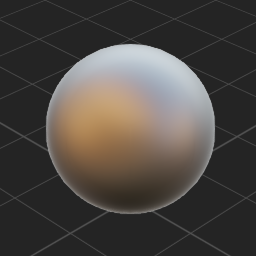 When you use a skybox as a light, Xenko uses it both in compressed form (spherical harmonics (Wikipedia)) and as a texture to light different kinds of material. 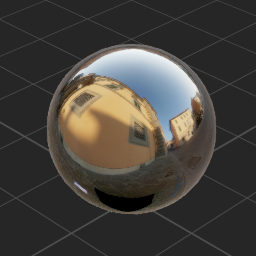 You can control the detail of both in the skybox asset properties. Diffuse SH order The level of detail of the compressed skybox, used for diffuse lighting (dull materials). Order5 is more detailed than Order3. 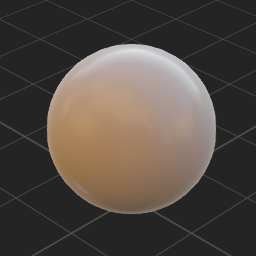 Specular Cubemap Size The texture size used for specular lighting. Larger textures have more detail.